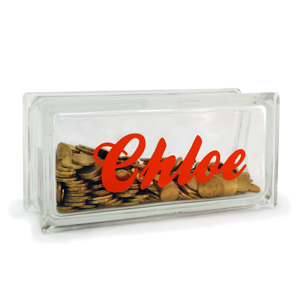 Make saving easy with one of our personalised glass block money boxes. 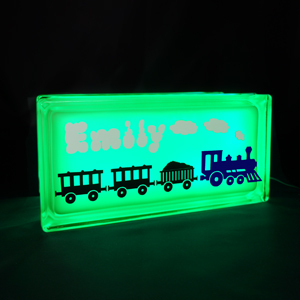 A great birthday gift for kids or anyone you know who might need a hand in the savings department. Put their name on it for that extra special touch. 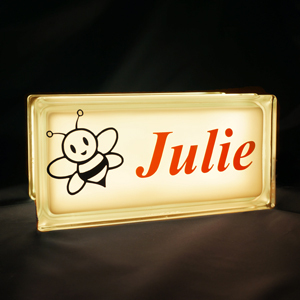 We’ve got a large range of fonts available as well as vinyl colours, so if you have something in particular in mind just let us know in the comments box on the checkout page. 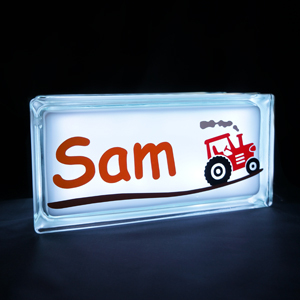 All of our larger money boxes are tamper proof and can only be opened by slicing through the silicon joint. 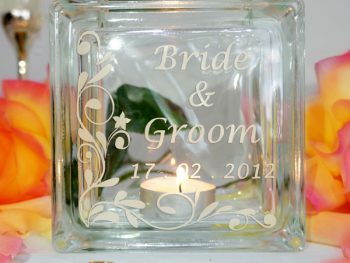 They can be easily resealed by running a small bead of silicon along the edges and gluing the two halves together.